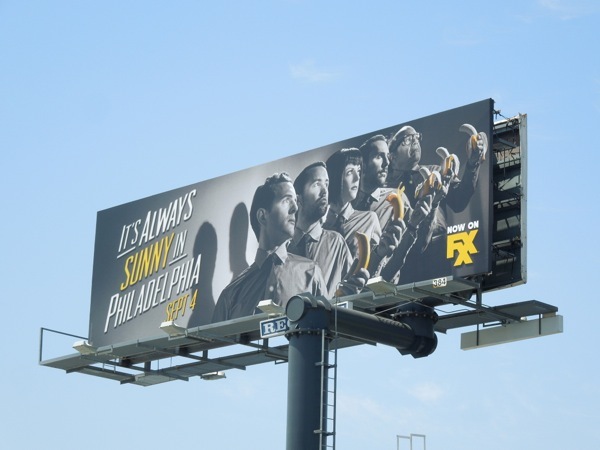 Not only is It's Always Sunny in Philadelphia one of the longest live-action comedy shows on cable entering its ninth season, but it's now also the tent-pole series for FX's new comedy network FXX launching in September. 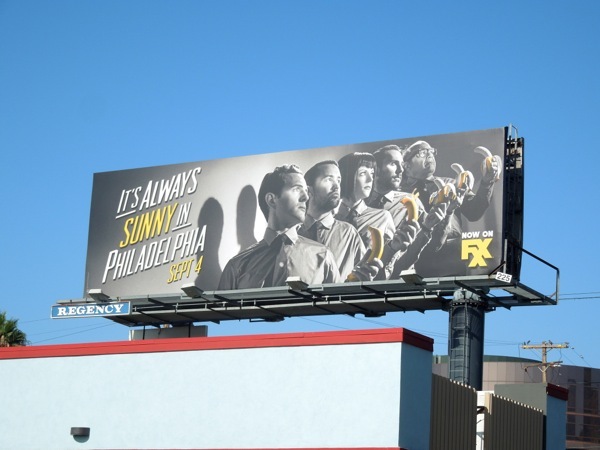 The promo billboards for the comedy are always pleasing on the eye, and this time around they've chosen to use their signature 'sunny' yellow in a much more subtle way than previous seasons. 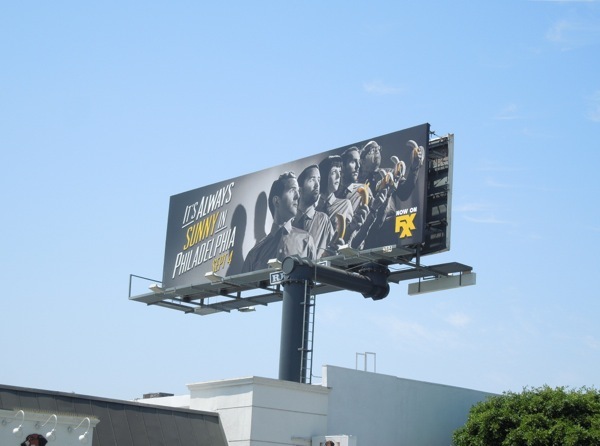 This rather absurd existential billboard shows the progressive peeling of a banana skin held by each of the cast members and is a wonderful homage to the infamous Swedish director, Ingmar Bergman, whose bleak black and white movies often dealt with death, betrayal and insanity (so perfect for this sitcom). 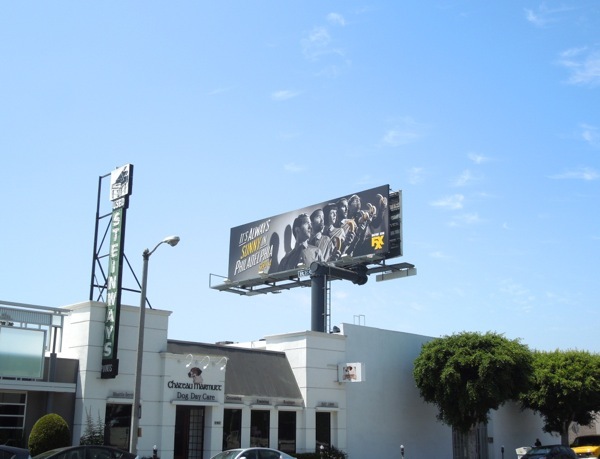 These clever ninth season billboards were spied along Beverly Boulevard and Sunset Boulevard on August 15, 2013. 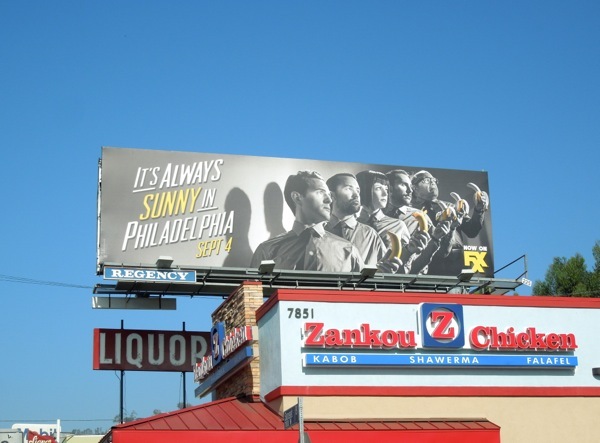 For some slightly cheerier creatives and especially if you think 'it's always funny', be sure to check out these vibrant previous season billboards for It's Always Sunny in Philadelphia.